Holidays in an inviting ambiance with many extras for families, active vacationers and connoisseurs! 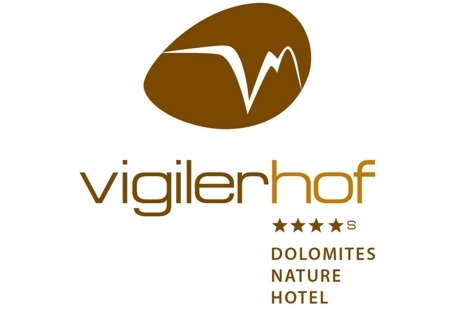 Welcome to Dolomites Nature Hotel Vigilerhof ****S in Seis am Schlern! Our hotel, at the foot of Seiser Alm, is the embodiment of all that is a natural, untouched holiday in the heart of Mt. Schlern nature reserve. We are a family-run hotel of sophisticated design and top-quality materials. The rooms and suites are furnished in untreated Arolla pine and spruce for an outstandingly comfortable, cosy atmosphere. Large glass facades let the surrounding countryside in, where it intertwines harmoniously with the Alpine idyll and pleasant comfort. In the morning, we offer a healthy and rich breakfast buffet with regional products. In the evening, we serve a refined gourmet menu – down-to-earth and creative. The new wellness area in modern Alpine style, with two cosy relaxation rooms, a comfortable lounge with fireplace and a heated outdoor pool welcome you to enjoy fabulous days of joy and relaxation surrounded by nature. Seis is located at the foot of the popular skiing and hiking area Seiser Alm. The Dolomites Nature Hotel Vigilerhof is located just 5 minutes from the Seiser Alm cableway. Here you can enjoy a dreamlike panoramic view of the Dolomites as well as numerous hiking paths and mountain bike tours in summer. Countless well-prepared slopes, cross-country ski runs, toboggan runs, paths for snowshoe hikes and an enchanting snowy landscape are awaiting you in winter. (Approx. 31 m²) Double room/Family room rooms are furnished in either fragrant Arolla pine or spruce, along with the natural combination of wood, glass and stone to create a cosy atmosphere. You will find a phone, free Wi-Fi, flat-screen TV, safe, mini bar and bed settee, which can be used as a 3rd and 4th bed. The bathroom is fitted with shower, WC, bidet, bathrobe, bath slippers, hygiene products and hairdryer. Most rooms have a separate WC and bathroom. (ca. 55 m²) Apartment furnished in antique style with seasoned timber or spruce, with telephone, flat-screen TV, safe, mini-bar, comfortable seating area, couch and balcony. The bathroom offers shower/WC, bidet, bathrobe and slippers, toiletries, hairdryer and infrared cabin. The second bedroom for children but adults too also has a bathroom. (Approx. 34 - 36 m²) This room is furnished in either fragrant spruce, along with the natural combination of wood, glass and stone to create a cosy atmosphere. You will find a phone, free Wi-Fi, flat-screen TV, safe, mini bar and bed settee, which can be used as a 3rd and 4th bed. The bathroom is fitted with shower, WC, bidet, bathrobe for adults, bath slippers for adults, hygiene products and hairdryer. (Approx. 25 m²) This double room (only for 2 persons) is furnished in either fragrant spruce, along with the natural combination of wood, glass and stone to create a cosy atmosphere. You will find a phone, free Wi-Fi, flat-screen TV, safe and mini bar. The bathroom is fitted with shower, WC, bidet, bathrobe, bath slippers, hygiene products and hairdryer. (Approx. 18 m²) This double room (only for 2 persons) is furnished in either fragrant stone-pine, along with the natural combination of wood, glass and stone to create a cosy atmosphere. You will find a phone, free Wi-Fi, flat-screen TV, safe and mini bar. The bathroom is fitted with shower, WC, bidet, bathrobe, bath slippers, hygiene products and hairdryer. (Approx. 40 m²) This room is furnished in either fragrant spruce, along with the natural combination of wood, glass and stone to create a cosy atmosphere. You will find a phone, free Wi-Fi, flat-screen TV, safe, mini bar and bed settee, which can be used as a 3rd and 4th bed. The bathroom is fitted with shower, WC, bathtub, bidet, bathrobe for adults, bath slippers for adults, hygiene products and hairdryer. In this room you will find a extra chill area.